Much of adaptation involves making small changes to sustain existing practices. In some circumstances such an approach may be ineffective, and more profound changes may appear a better option. Such transformational adaptation is defined as adaptation actions that result in dramatic changes in social and/or ecological systems to avoid climate impacts. There are a few cases of transformational adaptation, for example the Grantham relocation in Queensland and, in Europe, the construction of the Thames Barrier (in the UK) and Delta Works (in the Netherlands). These followed extreme events that caused extensive loss of life (the 2010-11 floods in Queensland and the 1953 North Sea flood in Europe). The lessons from these transformations are that a comprehensive approach, strong and clear leadership, community engagement and community support all enhance the likelihood of success. Much of adaptation is facilitating or creating small changes to existing practices, societal norms and institutions. These are seen as incremental, ‘no regrets’ or safe options that are not too disruptive to societies or economies. In some places, and at some times, these incremental changes are no longer sufficient. The vulnerabilities and risks created by climate change may be so large that they can be addressed only through reorganization of vulnerable systems or by changing their locations. Such fundamental change is termed transformational adaptation. There are many definitions of transformational adaptation, but they tend to agree that it involves a paradigm shift: a system-wide change with a focus on the long term that embraces uncertainty and is underpinned by sophisticated learning practices. The outcomes of the transformation are often not predictable. Figure 1 aims to describe the framework of diverse and coevolving social-ecological systems within which transformation (and other adaptive actions) takes place (Pelling et al. 2015). Within this framework, transformational adaptation consists of a range of interacting and contributory activities. It is generally thought that, for effective transformation to take place, all parts of the system need to change. Figure 1: Adaptation activity space. Source: Pelling et al. 2015. Where and how does transformation occur? Transformation is really about a ‘brave new system’ and so tends to occur across scales simultaneously and requires changes in governance, economies and technological systems. Therefore it really requires being organised and driven at state or national or international scales. These conditions necessitate political courage and foresight. Transformation is a matter of timing. Policy windows open at particular times and significant change can occur when problems, solutions and political agendas all coincide so that change does actually take place. All types of disasters have the potential to trigger effective transformation (see examples in Box 1 and Box 2). However, hasty and large-scale response to a disaster, if inadequately planned and poorly executed, can lead to a maladaptative response. Two examples of successful transformation are outlined in Box 1 and Box 2. Both followed disastrous extreme events that caused extensive loss of life, meaning that both political will and community support were in place for transformative action. The timescales are of interest While the Grantham relocation took place very rapidly after the Queensland flood event (it may be argued that speed facilitated its success as delay might have allowed communal memory of the event to fade), the Thames Barrier and Delta Works took at least 30 years to bring to fruition. 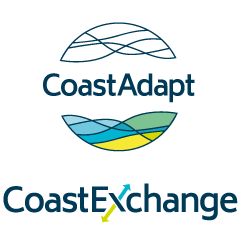 CoastAdapt contains a case study of planned transformative action – the relocation of the Choiseul Bay Township, Solomon Islands, in response to fears over the risks from sea-level rise. Between 1 December 2010 and 23 January 2011, 600-1000 mm of rain fell in the Lockyer Valley west of Brisbane, with most rainfall occurring in the period 9-13 January 2011. The flash flood on 10 January 2011 resulted in at least 16 deaths, washed away more than 800 vehicles and destroyed 120 homes. After the disaster, the Lockyer Valley Regional Council gave community members affected by flooding the option to relocate from the at-risk area. The Council had purchased a parcel of land (almost 1,000 ha) near Grantham, above the January 2011 flood lines. An offer was made to those from affected areas to voluntarily swap their existing land for a parcel in the new development. The council then held a range of visioning meetings, involving planners and engineers, marketers and financial planners, for the community. The parcels of land offered range from 500 m2 to 8,000 m2, depending on the size of the original land held by the applicant, from whom no contribution was required. Council will be investing up to $40 million into the project over the coming years to develop the master planned community. This move affects about one-third of the population of Grantham, and is considered integral to the long-term viability of the community, given the devastation wrought by the floods. A significant factor in the success of the project was the short time—less than six months—between the disaster and release of the first stage of land for relocation. This period included community consultation, planning studies and approval from the Queensland state government. Rapid response demonstrated to residents the long-term commitment of the Council and the State to the community. For more information see: https://www.nccarf.edu.au/content/grantham-planned-relocation (accessed 3 June 2016). The North Sea flood was caused by a heavy storm on 31 January to 1 February 1953. Water levels rose to more than 5.6 m above mean sea level in some locations. In total, 2,551 people died, of whom 1,836 were in the Netherlands, and 307 along the east coast of England. As a direct result, both countries committed to and carried out very major works to strengthen their coastal defences. In the Netherlands, these are known as the Delta Works, an extensive system of dams and storm surge barriers. The UK constructed storm surge barriers on the River Thames below London (the Thames Barrier) and further north on the River Hull. These flood protection works, in both the Netherlands and UK, have taken many decades to complete. The work was largely completed in the Netherlands in 1997, and in the UK with the completion of the Thames Barrier in 1982. In both countries, there are now plans underway to introduce new flood protection works, taking into account the risks from climate change and sea level rise. In the Netherlands, the cost of these is estimated to be more than €100 billion up to 2100. For more information see: https://en.wikipedia.org/wiki/Delta_Works and https://en.wikipedia.org/wiki/Thames_Barrier (both accessed 3 June 2016). Lonsdale, K., P. Pringle, and B. Turner, 2015: Transformative adaptation: what it is, why it matters & what is needed. UK Climate Impacts Programme, University of Oxford, Oxford, UK. Accessed 3 June 2016. [Available online at http://www.ukcip.org.uk/wp-content/PDFs/UKCIP-transformational-adaptation-final.pdf]. Pelling, M., K. O’Brien, and D. Matyas, 2015: Adaptation and transformation. Climatic Change, 133, 113-127. What should we consider in adapting to sea level rise?